Today I have a DIY which I haven't done in a while, that DIY being jewelry! Now back when I had my Etsy shop, jewelry was my jam. I don't make that much anymore, but today we're bringing it back! 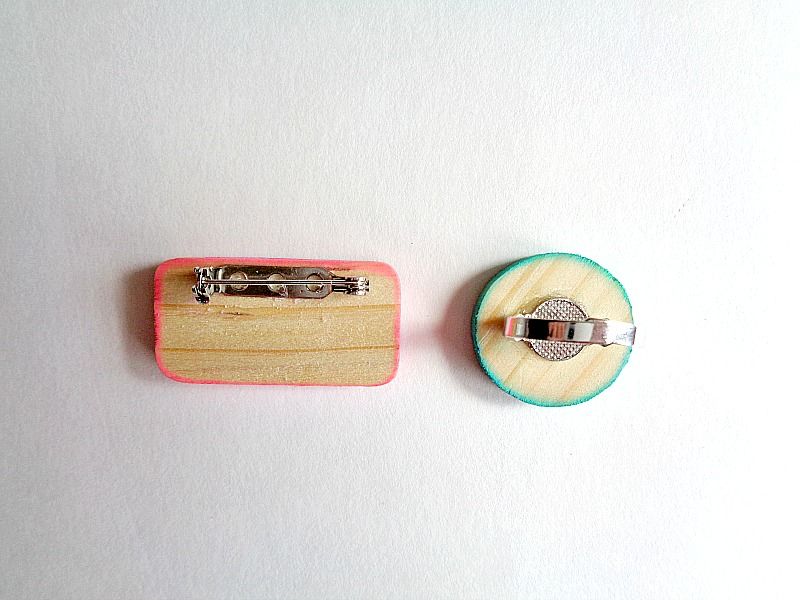 With that thought in mind, today's project is going to be about creating fun wooden jewelry (specifically rings and pins)! Now today's project is part of my collaboration with Xyron since I'm a member of their design team! 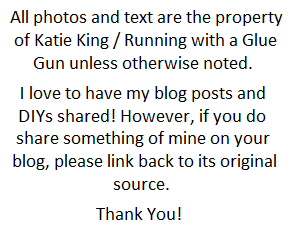 This means that you will be seeing a Xyron machine in action! For this particular project, I will be showcasing the Xyron® 1.5″ Sticker Maker. I've talked about the Xyron® 1.5″ Sticker Maker before, so if you want to learn more about it, then click here. 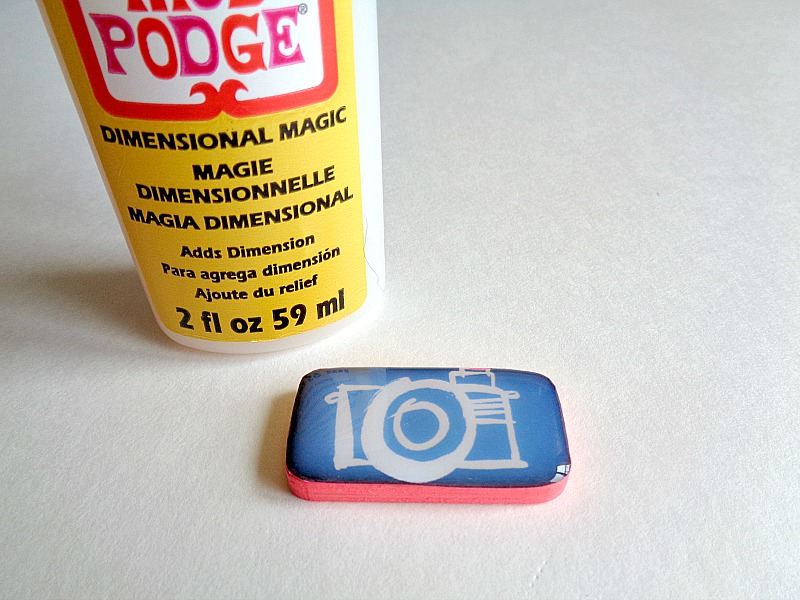 Also, in this project, I will be using items from Imagine Crafts! 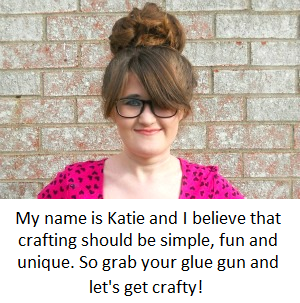 If you have never heard of Imagine Crafts, they are a company that is all about teaching, making and building the creative community. 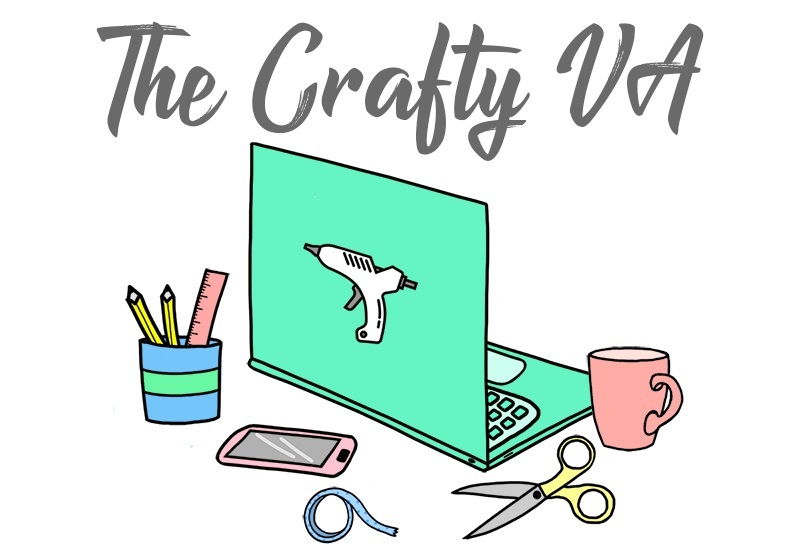 On their site, there is a section for their awesome products, which practically covers everything under the crafty sun! They produce craft products for paper, fabric, mix media, and even create tools and storage. Their selection is very wide and their color choices for inks pads, is pretty crazy (I mean you can seriously find any color that you want)! Now that you know what were using, let's make some fun jewelry! Step 1: Cut out pieces of your scrapbooking paper that will fit on top of your wooden cutout shapes. At this point, it's ok if your cutting is not perfect because we will be trimming down the paper later. 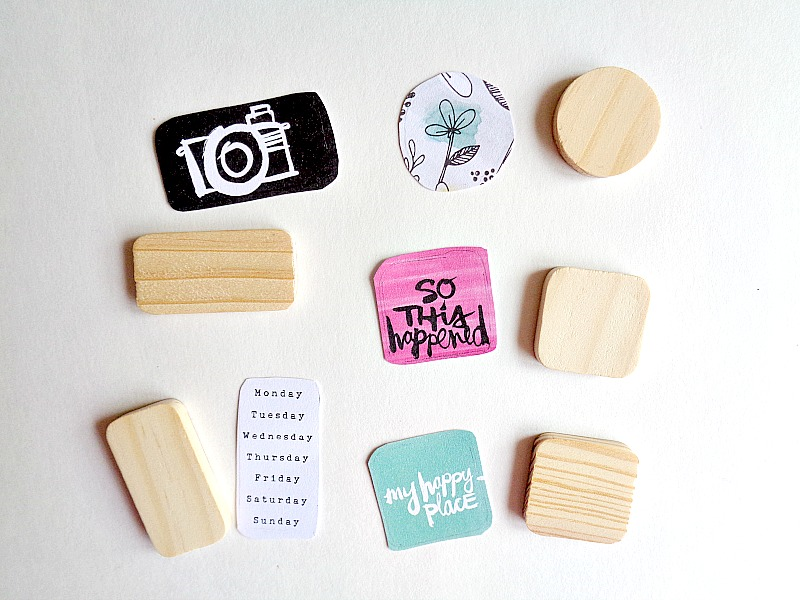 Step 2: Grab your scrapbooking paper pieces and slide each piece through your Xyron 1.5 Inch Sticker Maker. Keep repeating this process until you have run each piece of paper through your Xyron Sticker Maker. Step 3: Add your scrapbooking paper piece to the front of your wooden cutout. 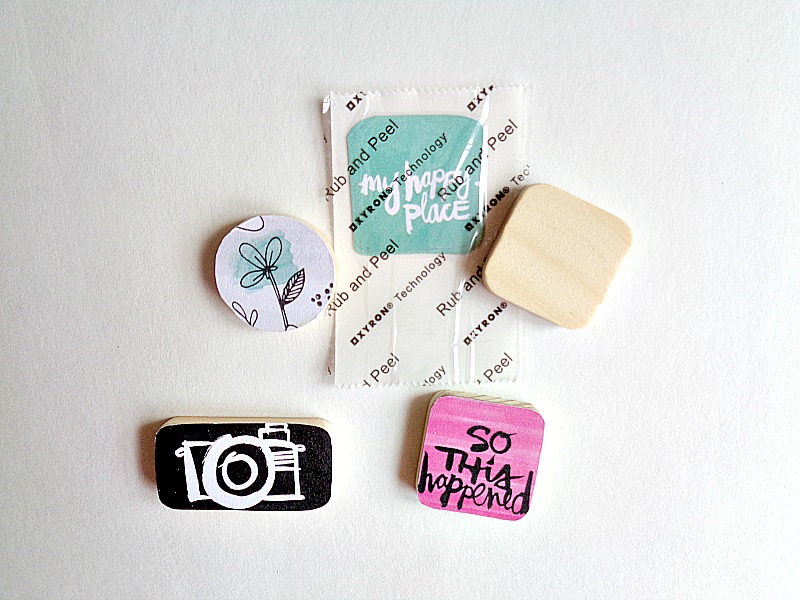 Before adding it through, make sure you rub each scrapbooking paper piece while it's on the Xyron Sticker paper. That way, you'll be creating a really strong adhesives backing. When your scrapbooking paper piece is on your wooden cutout, trim around the edges with some scissors, to get a nice clean edge. 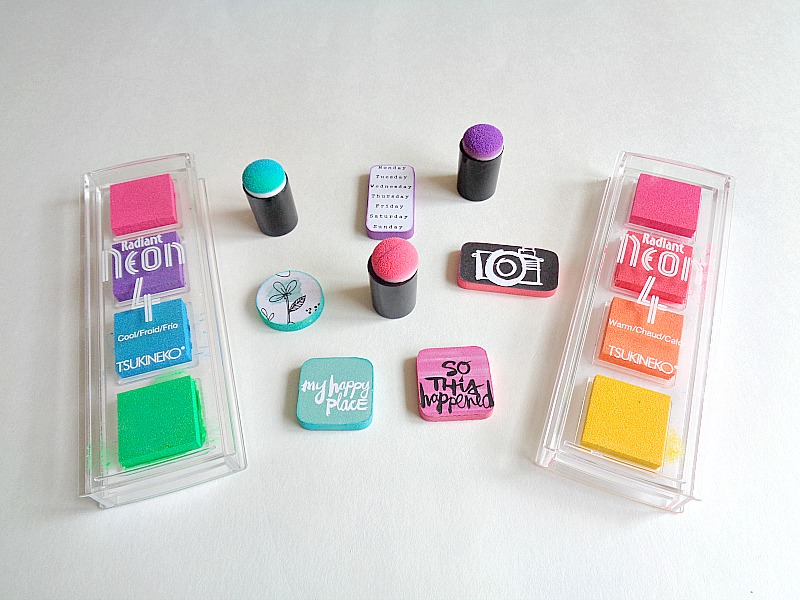 Step 4: Dip your sponge daubers into the color ink pad that will match your scrapbooking paper. Then rub the sides of your wooden cutout with your sponge dauber, which is covered in ink. Keep repeating this process until you have the desired color and look on your wooden cutout. Finally, set the whole thing aside to dry. Step 5: Now apply a thin coat of Dimensional Magic to the top of your wooden cutout. When applying the Dimensional Magic you may want to have a toothpick handy so you can pop any air bubbles. At first, the top of your wooden cutout may look ''cloudy'' but that's ok because it will dry completely clear. After you finish applying the Dimensional Magic set your wooden cutout aside to dry for 24 hours. Step 6: When the Dimensional Magic is dry, flip your pieces over and glue on either a pin or ring blank and set them aside to dry. 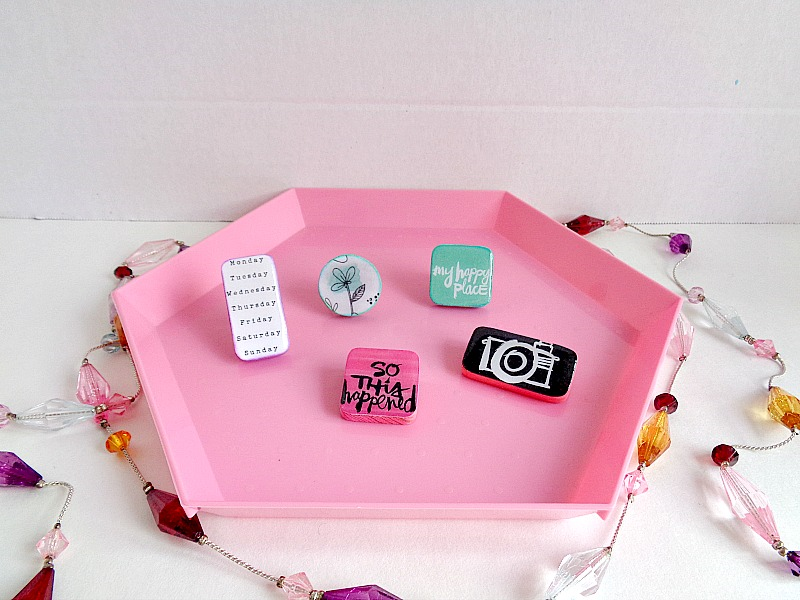 Once your pieces are dry, you're ready to wear them! I just loved how this jewelry came out! The sponge daubers were the perfect tool to apply ink around the edges to these wooden cutouts! Also, it was so nice that I didn't have to break out any paint or paint brushes for this project. 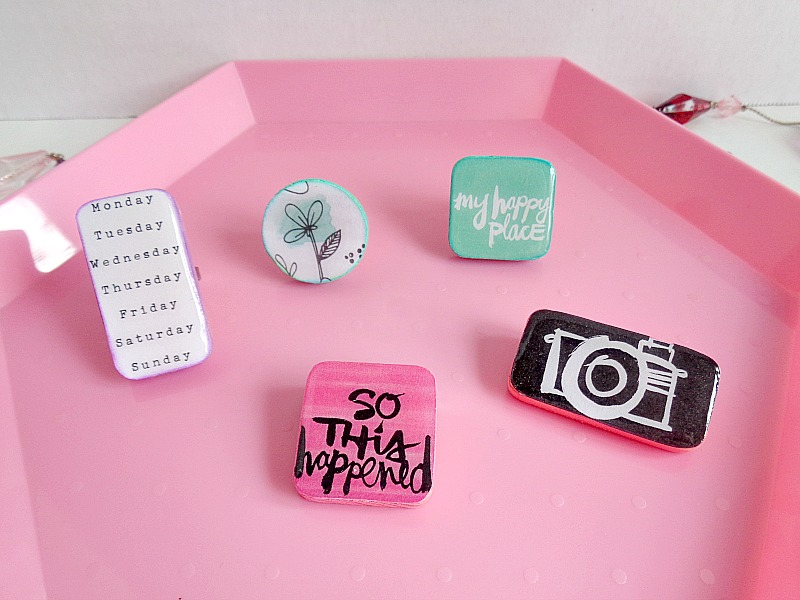 Now I used scrapbooking paper that could be ''worn'' every day, but you could easily use scrapbooking paper that was holiday themed, to create holiday jewelry! I mean Halloween is coming up and you could seriously create some cute Halloween jewelry. 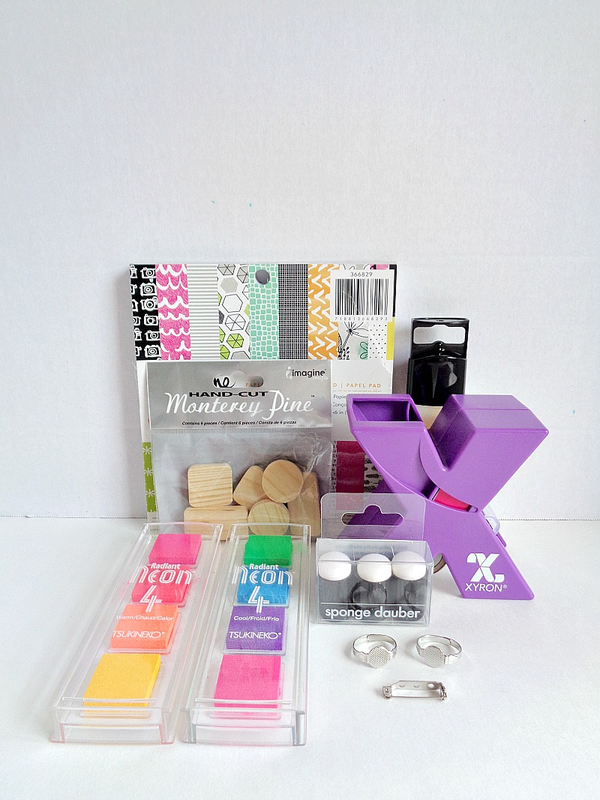 Also check out the Imagine Craft's blog to see what there lovely team is creating with Xyron products! So what do you think? 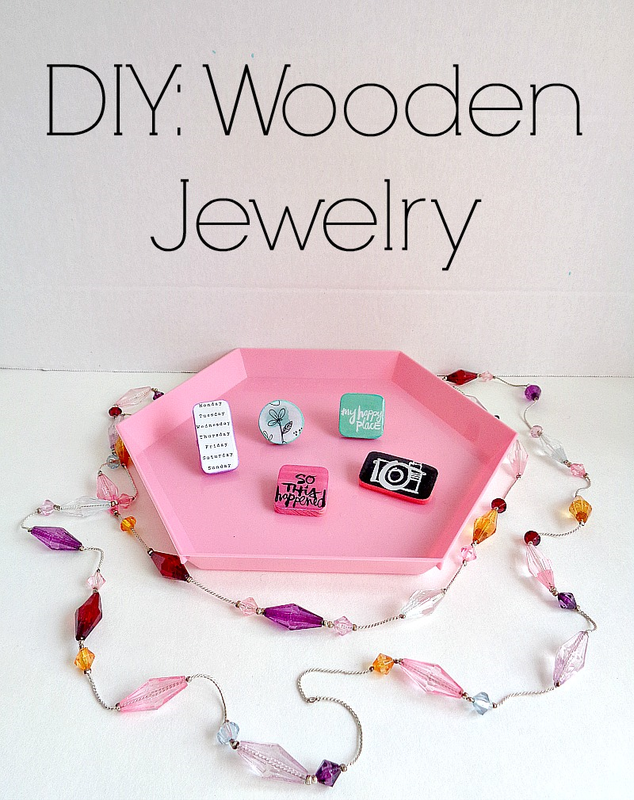 Do you like this take on wooden jewelry?